In a world filled with terror, strife and hopelessness, we seek validation that it is possible to change the world for those in need. Through prayer, faith and unremitting effort, Wendell Mettey proves that when ordinary people do extraordinary things, it is possible to change the world. 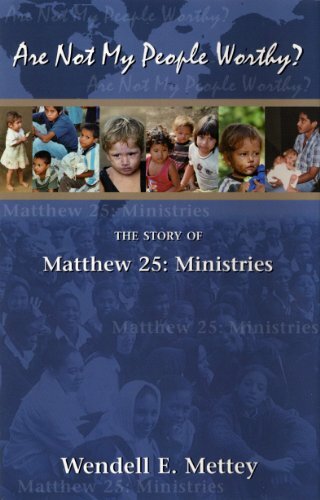 "Are Not My People Worthy" chronicles the growth of Matthew 25: Ministries from a small suitcase ministry to an international humanitarian relief organization shipping humanitarian supplies to the poorest of the poor worldwide.